Conceptually it is easier to grasp a transplant, which is the process of removing tissue, bone or an organ from one part of the body and implanting or inserting into another via a surgical procedure. Usually a graft applies to skin, nerves, bone, tendons, and blood vessels. In this case we’ll focus on the reasons why you might need a dental bone graft, the procedure that takes place, the recovery time and the benefits of having a dental bone graft. There are several dental issues that can arise where you may need additional bone added to your jaw. Most often bone grafts are performed to prepare a site in your mouth for an implant. When you are already missing a tooth, you may have lost some bone over time, as the tooth and supporting bone work hand in hand to hold each other in place. Perhaps, the bone in the area is not very dense, and it is weaker and softer, which would not provide a good predictable, foundation or site for an implant. Periodontal disease can cause bone defects adjacent to tooth roots or implants. Depending on the type and location of the defect, sometimes we can eliminate this problem by adding bone in the form of a graft and create better gum attachment that eliminates periodontal pocketing. The most popular dental bone graft today comes as the result of having a tooth extraction. Once that tooth is removed the jawbone begins to lose integrity. When a patient is considering a dental implant, Dr. Schrader may suggest a bone graft or socket preservation in order to maintain bone density and quality for a future implant. If you are not a candidate for an implant, maintaining the gum and bone with a bone graft may be essential in the esthetics of a dental bridge or the retention of a removable partial denture. 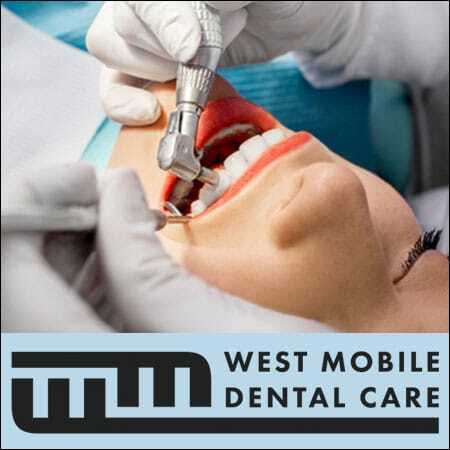 Once the staff at West Mobile Dental Care has determined that a dental bone graft will be beneficial for your specific oral condition, the procedure is reasonably easy and painless. The graft can have several sources of origin. You can graft a bone from yourself, from a donor, an animal bone (usually bovine origin) or a synthetic material. The bone material goes through a very special process cleansing it from any DNA and then packaged in single dose packets for the sake of sterility. The graft looks like a dry sponge or may be packaged as a particulate, like sand. The area receives a local anesthetic, the gum tissue is reflected or tooth extracted, and the graft is placed next to the area of the jaw in question. Sitting on or next to the natural bone, the graft will undergo a bone regeneration as a blood supply is provided to it, sometimes acting as a scaffold on which your bone will grow. A membrane may be placed on top of the graft to help contain the bone and secured with some sutures. Following your procedure, you will be reevaluated at multiple post-operative appoints. You will need to take care with the site to prevent the membrane or graft from dislodging. We generally recommend a soft diet and to avoid brushing the area with the graft, so as not to disrupt the sutures. After 7-14 days the site will be evaluated, and the sutures removed. If you are proceeding with a dental implant, it may take three to six months for the graft to fully incorporate. Dr. Schrader may recommend a 3D dental CT scan to evaluate the graft to ensure it is ready to receive a dental implant. Bone grafts can help repair trauma or deficiencies in your teeth, your gums and your smile. If it is a facial bone fracture it could make a huge change in your life and your overall appearance. If it is to replace a missing or infected tooth, a dental implant will have a very positive effect on your chewing function and smile. Having a confident smile effects your self-confidence and your self-esteem. 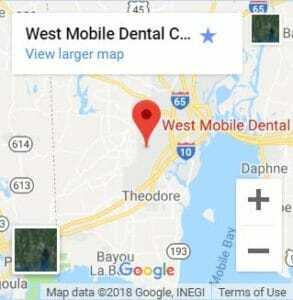 After the initial recovery time it is strongly suggested that you continue to see the staff at West Mobile Dental Care at least twice a year for continued evaluation and maintenance. Regular x-rays will monitor the progression of the regeneration of the bone graft and the integrity and stability of the ensuing dental implant. On a rare occasion the graft may become infected or not fully integrated; therefore, having an awareness of good oral hygiene is beneficial moving forward. They will consult with you regarding your at home care and provide helpful feedback and pointers in areas of needed improvement.